Athletic wear is such a big fashion trend. The beauty of this trend is that it can be dressed up or down. You've seen me rock this trend several times because it's my absolute favorite and the most fun to style. 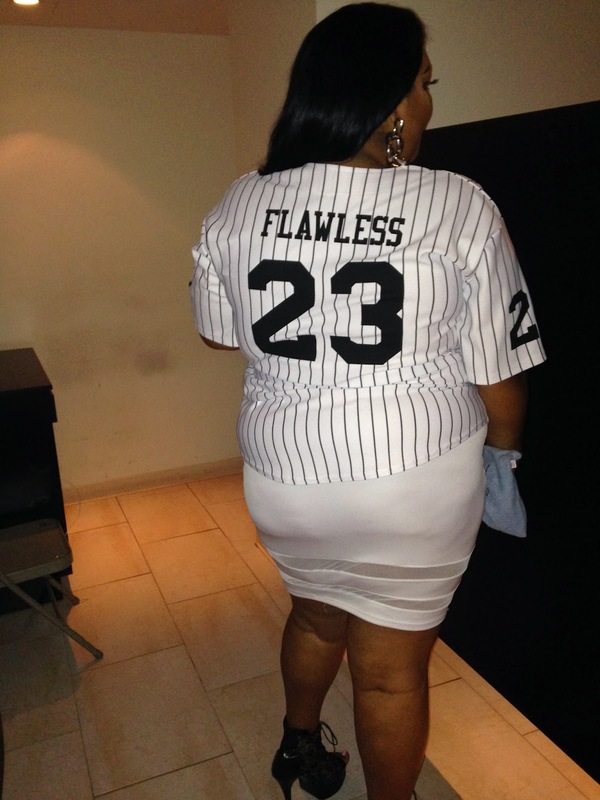 I wore a baseball jersey from Fat Medusa with some cool details on the back - the infamous Beyonce song "Flawless" and Michael Jordan's popular jersey number, 23. 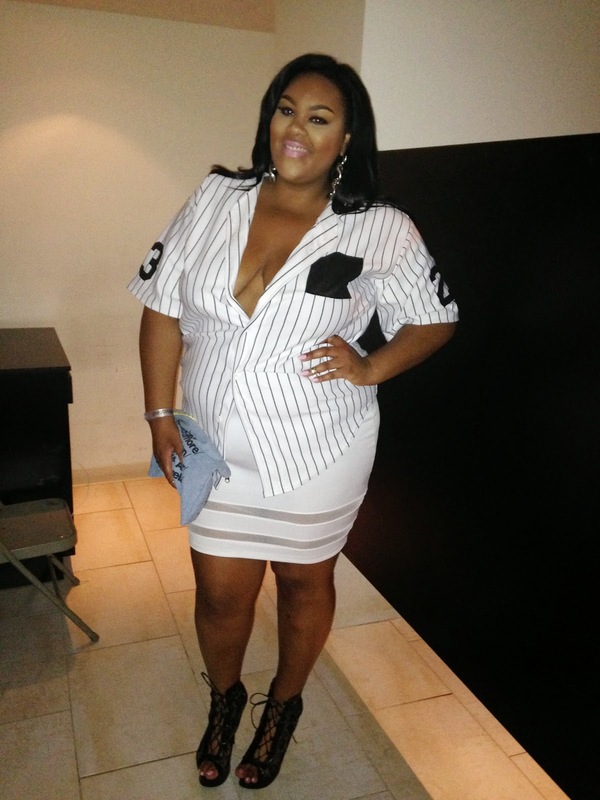 I paired it with a white skirt with mesh inserts to continue the color scheme. I love mixing textures so my look of the night was completed with a denim oversized pouch and lace booties.